1. (1) These Regulations may be called the Insolvency and Bankruptcy Board of India (Model Bye-Laws and Governing Board of Insolvency Professional Agencies) Regulations, 2016. (2) These Regulations shall come into force on the date of their publication in the Official Gazette. (c) “model bye-laws” means the model bye-laws as contained in the Schedule to these Regulations. (2) Unless the context otherwise requires, words and expressions used and not defined in these Regulations shall have the meanings assigned to them in the Code. Insolvency professional agencies to have Bye-Laws. 3. (1) A company shall submit to the Board its bye-laws along with the application for its registration as an insolvency professional agency. (2) The bye-laws shall provide for all matters specified in the model bye-laws. (3) The bye-laws shall at all times be consistent with the model bye-laws. (4) The insolvency professional agency shall publish its bye-laws, the composition of all committees formed, and all policies created under the bye-laws on its website. 4. (1) The Governing Board may amend the bye-laws by a resolution passed by votes in favour being not less than three times the number of the votes, if any, cast against the resolution, by the directors. (2) A resolution passed in accordance with sub-regulation (1) shall be filed with the Board within seven days from the date of its passing, for its approval. (3) The amendments to the bye-laws shall come into effect on the seventh day of the receipt of the approval, unless otherwise specified by the Board. (4) The insolvency professional agency shall file a printed copy of the amended bye-laws with the Board within fifteen days from the date when such amendment is made effective. Composition of the Governing Board. 5. (1) The Governing Board shall have a minimum of seven directors. (2) More than half of the directors shall be persons resident in India at the time of their appointment, and at all times during their tenure as directors. (3) Not more than one fourth of the directors shall be insolvency professionals. Provided that no meeting of the Governing Board shall be held without the presence of at least one independent director. (b) who has expertise in the field of finance, law, management or insolvency. (6) The directors shall elect an independent director as the Chairperson of the Governing Board. (b) ‘not more than one- fourth’ shall be rounded down t o the next lower number. 1. The name of the Insolvency Professional Agency is “ ____” (hereinafter referred to as the ‘Agency’). 2. The Agency is registered as a company under section 8 of the Companies Act, 2013 with its registered office situated at ______ [provide full address]. 3. These bye-laws may not be amended, except in accordance with the Insolvency and Bankruptcy Board of India (Model Bye-Laws and Governing Board of Insolvency Professional Agencies) Regulations, 2016. 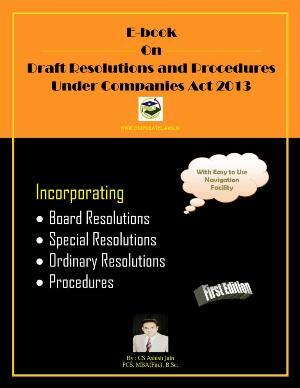 (e) “relative” shall have the same meaning as assigned to it in section 2(77) of the Companies Act, 2013. (2) Unless the context otherwise requires, words and expressions used and not defined in these bye-laws shall have the meanings assigned to them in the Code. 5. (1) The Agency shall carry on the functions of the insolvency professional agency under the Code, and functions incidental thereto. (2) The Agency shall not carry on any function other than those specified in sub-clause (1), or which is inconsistent with the discharge of its functions as an insolvency professional agency. 6. (1) The Agency shall maintain high ethical and professional standards in the regulation of its professional members. (g) provide information about its activities to the Board. Advisory Committee of Professional Members. (c) best practices in respect of insolvency resolution, liquidation and bankruptcy. (2) The Advisory Committee may meet at such places and times as the Governing Board may provide. Other Committees of the Agency. (d) one or more Disciplinary Committee(s) consisting of at least one member nominated by the Board. (2) The Chairperson of each of these Committees shall be an independent director of the Agency. Provided further that such additional requirements shall not discriminate on the grounds of religion, race, caste, gender, place of birth or professional affiliation. Process of Enrolment as Professional Member. 10. (1) An individual may apply for enrolment as a professional member by submitting an application in such form, in such manner and with such fees as may be specified by the Agency. (2) The Agency shall examine the application in accordance with the applicable provisions of the Code, and rules, regulations and guidelines thereunder. (3) On examination of the application, the Agency shall give an opportunity to the applicant to remove the deficiencies, if any, in the application. (4) The Agency may require an applicant to submit additional documents, information or clarification that it deems fit, within reasonable time. (5) The Agency may reject an application if the applicant does not satisfy the criteria for enrolment or does not remove the deficiencies or submit additional documents or information to its satisfaction, for reasons recorded in writing. (6) The rejection of the application shall be communicated to the applicant stating the reasons for such rejection, within thirty days of the receipt of the application, excluding the time given for removing the deficiencies or presenting additional documents or clarification by the Agency, as the case may be. (7) The acceptance of the application shall be communicated to the applicant, along with a certificate of membership in Form A of the Annexure to these bye-laws. (8) An applicant aggrieved of a decision rejecting his application may appeal to the Membership Committee of the Agency within thirty days from the receipt of such decision. (9) The Membership Committee shall pass an order disposing of the appeal in the manner it deems expedient, within thirty days of the receipt of the appeal. 11. The Agency may require the professional members to pay a fixed sum of money as its annual membership fee. (i) details of orders passed against him by the Board or Disciplinary Committee of the Agency. (d) any other person who has obtained the consent of the member for such inspection. (i) maintain confidentiality of information obtained in the course of his professional activities unless required to disclose such information by law. 14. The Agency shall have a Code of Conduct that shall be consistent with, and that shall provide for all matters in the Code of Conduct as specified in the Insolvency and Bankruptcy Board of India (Insolvency Professionals) Regulations, 2016. 15. The Agency shall have a Monitoring Policy to monitor the professional activities and conduct of professional members for their adherence to the provisions of the Code, rules, regulations and guidelines issued thereunder, these bye-laws, the Code of Conduct and directions given by the Governing Board. 16. A professional member shall submit information, including records of ongoing and concluded engagements as an insolvency professional, in the manner and format specified by the Agency, at least twice a year. 17. The Monitoring Committee shall review the information and records submitted by the professional members in accordance with the Monitoring Policy. (f) any other matters that may be specified by the Governing Board. (d) the outcome of each appointment. (c) any other person or class of persons as may be provided by the Governing Board. (b) initiate a mediation between parties for redressal of grievance. (3) The Grievance Redressal Committee shall refer the matter to the Disciplinary Committee, wherever the grievance warrants disciplinary action. 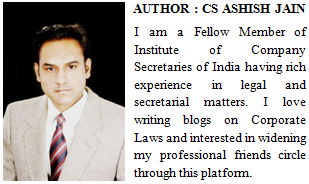 (h) periodic review of the Grievance Redressal Mechanism. (d) suo moto, based on any information received by it. (e) rights and obligations of the parties to the proceedings. (f) directions relating to costs. (b) a gross violation of the Code, rules, regulations and guidelines issued thereunder, bye-laws or directions given by the Governing Board which renders him not a fit and proper person to continue acting as an insolvency professional. (vii) in any other case it deems fit. (4) Any order passed by the Disciplinary Committee shall be placed on the website of the Agency within seven days from passing of the said order, and a copy of the order shall be provided to each of the parties to the proceeding. (5) Monetary penalty received by the Agency under the orders of the Disciplinary Committee shall be credited to the Insolvency and Bankruptcy Fund constituted under section 224 of the Code. 25. (1) The Governing Board shall constitute an Appellate Panel consisting of one independent director of the Agency, one member from amongst the persons of eminence having experience in the field of law, and one member nominated by the Board. (2) Any person aggrieved of an order of the Disciplinary Committee may prefer an appeal before the Appellate Panel within thirty days from the receipt of a copy of the final order. (3) The Appellate Panel shall dispose of the appeal in the manner it deems expedient, within thirty days of the receipt of the appeal. Temporary Surrender of Professional Membership. and upon acceptance of such temporary surrender and on completion of thirty days from the date of application for temporary surrender, the name of the professional member shall be temporarily struck from the registers of the Agency, and the same shall be intimated to the Board. (b) the professional member has been appointed as a resolution professional, liquidator or bankruptcy trustee for a process under the Code, and the appointment of another insolvency professional may be detrimental to such process. (3) A professional member may make an application to revive his temporarily surrendered membership when the conditions for temporary surrender as provided in sub-clause (1) cease to be applicable, and upon acceptance of the application for revival, the name of the professional member shall be re-inserted in the register of the Agency, and the same shall be intimated to the Board. 27. (1) A professional member who wishes to surrender his membership of the Agency may do so by submitting an application for surrender of his membership. (2) Upon acceptance of such surrender of his membership, and completion of thirty days from the date of such acceptance, the name of the professional member shall be struck from the registers of the Agency, and the same shall be intimated to the Board. 28. Any fee that is due to the Agency from a professional member surrendering his membership shall be cleared prior to his name being struck from the registers of the Agency. (e) upon the order of any court of law. This is to certify that [insert name] residing at [insert address] is enrolled as a professional member of [insert name of insolvency professional agency] with professional membership no. [insert number]. This certificate shall be valid from [insert date].